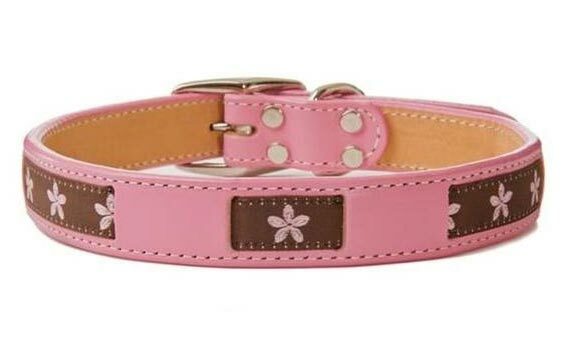 This pink, full grain leather collar is interwoven with a stylish grosgrain ribbon. The signature belle collar is double-layered for additional sturdiness and safety. 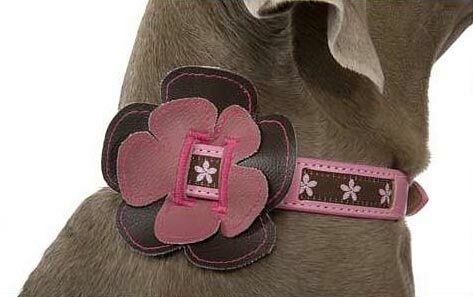 It's beveled, hand finished edges provide your pet with additional comfort. The signature belle collar also comes complete with one of our unique floral accessories. This accessory slides on and off for added style and elegance. Made in the USA, there really is no other collar like it! 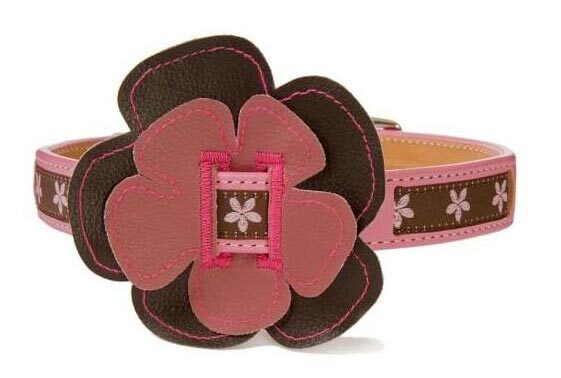 This pink, full grain leather collar is interwoven with a stylish grosgrain ribbon with lowers. The signature belle collar is double-layered for additional sturdiness and safety. It also comes complete with one of our unique floral accessories. Designer collar by Bookie and Belle.